Syrian army warns Israel of "repercussions" if it attacks targets in Syria again. 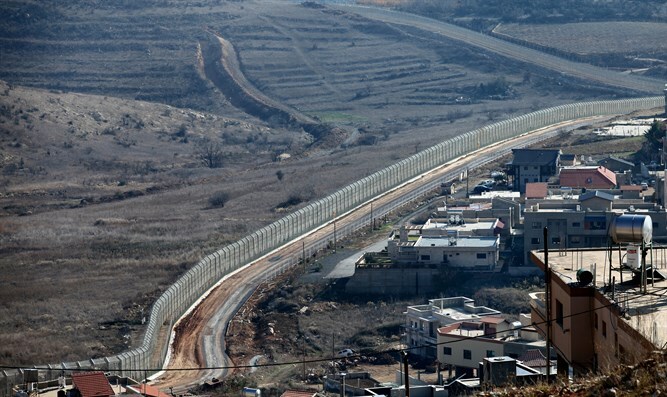 The Syrian army on Wednesday warned Israel against attacking targets in Syria again, after Israeli forces attacked a Syrian military position in retaliation for a rocket from Syria hitting the Golan Heights. The rocket was believed to be stray fire from fighting between the Syrian government forces and rebels. In a statement quoted by the Syrian news agency SANA, the Syrian army said the Israeli attack destroyed one cannon and damaged another. The statement warned Israeli against the repercussions of another such attack, and also reaffirmed its commitment to its fight against terrorist jihadist groups such as the Islamic State (ISIS) and the Al-Nusra Front, which it referred to as “Israel’s tools”. The fighting in Syria has continuously spilled over to the Golan Heights, and the Israel Air Force has retaliated several times. The Syrian army’s claim that jihadist groups in Syria are Israeli proxies is not new. Syria’s President, Bashar Al-Assad, recently claimed there is “no contradiction” between Israel and jihadist groups such as ISIS. “Any terrorist who holds a machine gun and started killing and destroying in Syria was supported by Israel, either indirectly through the logistical support on the frontier, or sometimes by direct intervention by Israel against Syria in different areas in Syria,” he said in an interview. Two years ago, Assad’s adviser claimed that Israel was sending fighters to help the rebels fighting to oust Assad.